Former Gov. George Ryan was sentenced to 6½ years in prison today following his historic conviction for steering lucrative state business to cronies in return for vacations, gifts and other benefits for himself and his family. Ryan’s co-defendant in the case, businessman-lobbyist Lawrence Warner, 67, was sentenced to 41 months in prison. “People of this state expected better, and I let them down,” Ryan said in a statement delivered to the courtroom before the sentencing. Still, he stopped short of taking responsibility for the crimes a jury found he committed. Ryan called his sentencing the saddest day of his life and told the court that what he dreaded most was separation from his wife, Lura Lynn. Recent FBI interviews with members of a lobbying firm indicate that the Justice Department is investigating whether former House Majority Leader Tom Delay’s wife earned $115,000 over three years for a no-show job, according to an article by The Wall Street Journal. “The two-year investigation is examining whether lobbyist Jack Abramoff and others sought legislative favors for their clients by offering expensive meals, sports tickets, golf outings and other gifts to about a dozen lawmakers and congressional aides,” reports Brody Mullins. The docudrama that ABC will air next week commemorating the fifth anniversary of the Sept. 11 attacks seems likely to revive some long-running disputes over whether the Clinton or Bush administration has more to answer for in neglecting indications of a pending al Qaeda attack on the United States. “The Path to 9/11,” a five-hour, two-part depiction of events prior to the attacks, is to air Sept. 10 and 11. And early reviews among veterans of the Clinton White House are decidedly negative: They argue that the show downplays the Bush White House’s culpability while inventing some scenes out of whole cloth to dramatize the supposed negligence of Clinton officials. That complaint came to the fore at a National Press Club screening of the show late last month, when Richard Ben-Veniste — one of the 10 members of the independent Sept. 11 commission, whose final report producer Marc Platt credits with supplying much of the mini-series’ detail and narrative structure — rose to denounce the veracity of a key scene involving Clinton national security adviser Samuel R. Berger. 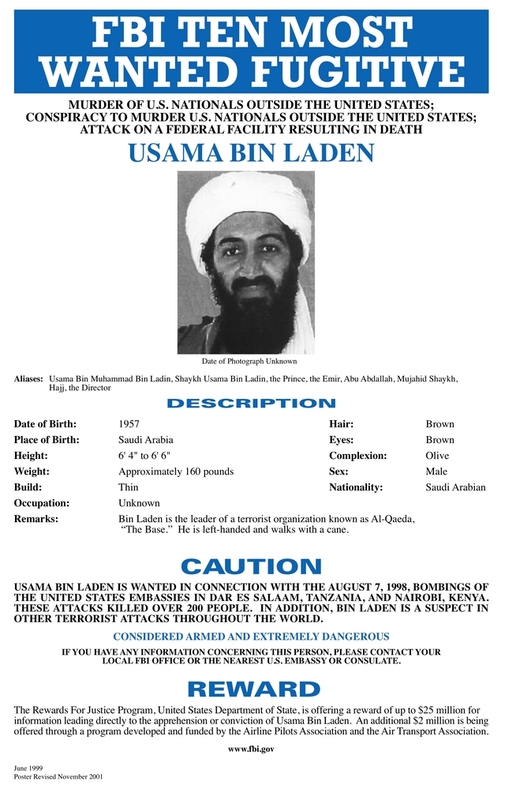 “If he is in Pakistan, bin Laden ‘would not be taken into custody,’ Major General Shaukat Sultan Khan told ABC News in a telephone interview, ‘as long as one is being like a peaceful citizen,” report Brian Ross and Gretchen Peters at ABC’s blog, The Blotter. “The surprising announcement comes as Pakistani army officials announced they were pulling their troops out of the North Waziristan region as part of a ‘peace deal’ with the Taliban,” reports ABC. Pakistan will also be returning many Taliban prisoners and seized weapons. WASHINGTON – Arizona Republicans in a crowded House primary denounced the national GOP Tuesday for taking sides in the race. “They’re idiots,” one candidate said. The National Republican Congressional Committee last week backed a candidate in the primary, launching a $122,000 advertising campaign for state Rep. Steve Huffman. The party contends Huffman is a moderate candidate who could win the district in November. On Tuesday, Huffman’s four GOP opponents took the unusual step of holding a joint news conference and delivering a message to the National Republican Congressional Committee. “Stay the hell out of southern Arizona,” said Mike Hellon, one of the candidates and a former state party chairman, in an interview following the news conference. The four contend the NRCC had split the party, handing an advantage to the Democrats. They urged the NRCC to pull its ads and stay quiet until after the Sept. 12 primary. To observe the Washington press corps is to wonder why so many people who don’t remember what happened yesterday and can’t master basic logic are expected to analyze politics and policy. The latest developments in the Valerie Plame Wilson case—as revealed in Hubris, a new book by Michael Isikoff and David Corn—proved once more that the simplest analysis of facts is beyond the grasp of many of America’s most celebrated journalists. What Messrs. Corn and Isikoff reveal, among other things, is that the first official to reveal Valerie Wilson’s covert identity as a C.I.A. operative to columnist Robert Novak in June 2003 was Richard Armitage, who then served as Deputy Secretary of State. 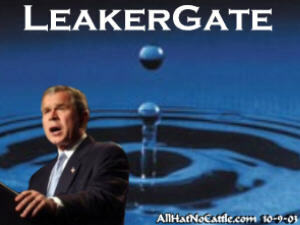 Unlike other Bush administration figures who were involved in leaking Ms. Wilson’s identity, such as Karl Rove and Lewis (Scooter) Libby, Mr. Armitage was known to be unenthusiastic about the U.S. invasion of Iraq. From those two facts, numerous pundits and talking heads have deduced that Mr. Rove and Mr. Libby were guiltless, that there was no White House effort to expose Ms. Wilson, and that the entire leak investigation was a partisan witch hunt and perhaps an abuse of discretion by the special counsel, Patrick Fitzgerald. The same pundits now proclaim that Mr. Armitage’s minor role somehow proves the White House didn’t seek to punish Valerie Wilson and her husband, former Ambassador Joe Wilson, for his decision to publicly debunk the Presidential misuse of dubious intelligence from Niger concerning Iraq’s alleged attempts to purchase yellowcake uranium.